Best of GURU is a Geist Expander bringing together the highlights of the GURU factory sound library. With 3GB of diverse kits, loops and single-hit sounds, Best of GURU offers a huge array of sounds pre-formatted for Geist to drop into your productions. The pack includes a wide variety of Goldbaby samples and loops, Yellow Tools acoustic kits and a comprehensive suite of classic vintage drum machine sounds, as well as a wealth of material from Wizoo Platinum, Groove Criminals, Gearshift and Biolabs, amongst others. 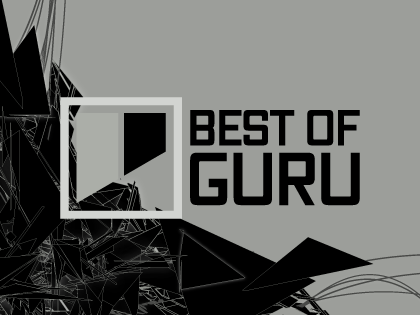 In total, Best of GURU contains over 350 kits, over 1500 loops and over 9500 single-hit sounds. The included samples and loops are all supplied in .WAV, .AIF or .RX2 format and can be used in any software or hardware instrument which can load these formats. Content from Goldbaby, Yellow Tools, Wizoo, Groove Criminals, Biolabs and more!